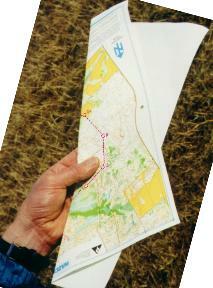 Fold your (oriented) map parallel to the direction of travel, about 4-5 cm away. Put your thumb close to where you are. 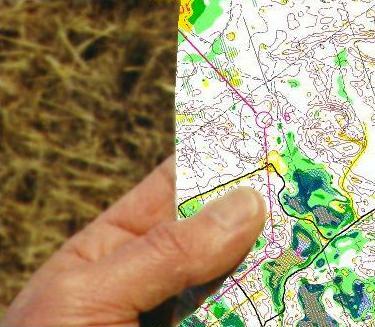 Move your thumb as you reach another known location.